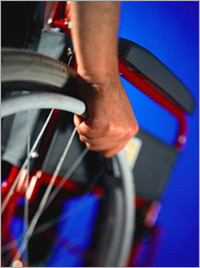 Disability planning may be the most neglected part of estate planning today. Many people believe that, if they are mentally incapacitated, someone (their spouse, their oldest child, their next of kin) is automatically deputized to handle their affairs. That simply is not true. If you have not planned for your disability, then the only recourse is for someone to start a guardianship proceeding in Probate Court and to subject you to a formal trial to prove your incapacity. This can be a humiliating and heartbreaking experience for families. If the court finds that you no longer are able to handle your affairs, then a legal guardian will be appointed to administer your affairs, under the supervision of the court, perhaps for many years. With advance planning, you may avoid guardianship proceedings. Through Powers of Attorney and Trusts, you may choose the people you wish to handle your affairs during disability, without court intervention. Powers of Attorney may be very useful tools for disability planning, but they typically are form documents granting “bare authority” rather than providing your personal instructions. A customized set of disability instructions is a better tool for establishing your wishes. For example, do you want to stay at home or go into a nursing home, even if it costs more to keep you at home? Would you be happy living with an adult child, or is that the last thing in the world you want? Should a person you live with be paid to avoid any financial burden? Who will decide that you are disabled, that it’s time to turn over the keys to the car? Who should be in charge of you and your affairs if you are disabled? One person or a team? These are important questions, affecting your quality of life, that probably will arise. If you don’t answer them, who will? Advance Directives as to health care also give you the opportunity to name your health care agent, to make medical decisions on your behalf if you no longer may make them yourself. These directives may include detailed instructions as to your treatment wishes, and you may provide directions on end-of-life issues, such as your continued care if you are suffering from a terminal condition or you are permanently unconscious. Your making these choices will help take the burden of decision off your family. If you currently provide care for a child or loved one with special needs (such as mental or physical disabilities), you must have contemplated with concern what may happen to them when you are no longer able to provide care for them. Our law firm can help you set up a Special Needs Trust so that government benefit eligibility is preserved while at the same time providing assets that will meet the supplemental needs of the person with a disability. The Special Needs Trust can fund those needs that go beyond food, shelter, and clothing and the medical and long term supports and services of Medicaid, but the trust must be designed specifically to supplement not replace public benefits. Parents should be aware that funds from the trust cannot be distributed directly to the disabled beneficiary. Instead, it must be disbursed to third parties who provide goods and services for use and enjoyment by the disabled beneficiary. Special Needs Trusts are a critical component of your estate planning if you have disabled beneficiaries for whom you wish to provide after your passing.